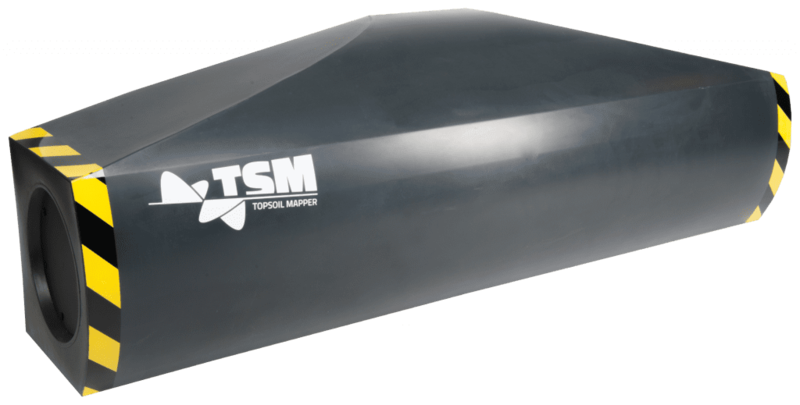 The Topsoil Mapper – detecting soil compaction in real time. GEOPROSPECTORS - We are experts. 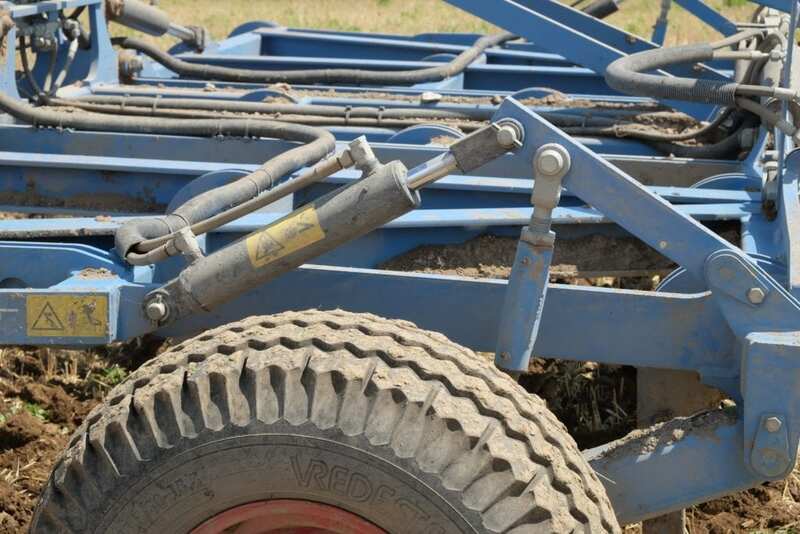 Take the right measures against soil compaction! With its innovative Topsoil Mapper and its unique contact-free sensor technology, Geoprospectors offers a practical solution for reliable detection of soil compaction. 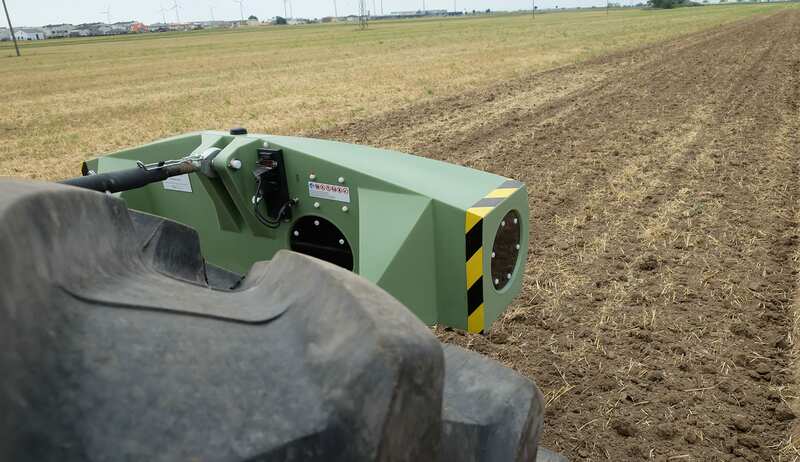 Te sensor not only enables a digital presentation of compacted areas, it also allows for the right soil processing measures to be taken in real time. The Topsoil Mapper is an integrated geophysical measurement system for determining different soil parameters. Using modern geophysical measurement technology and automated data analysis methods, the top layers of the rootable soil are measured accurately and with high resolution. To this end, the TSM relies on the principle of electromagnetic induction for conductivity measurement in the soil. The depth of exploration is one meter. 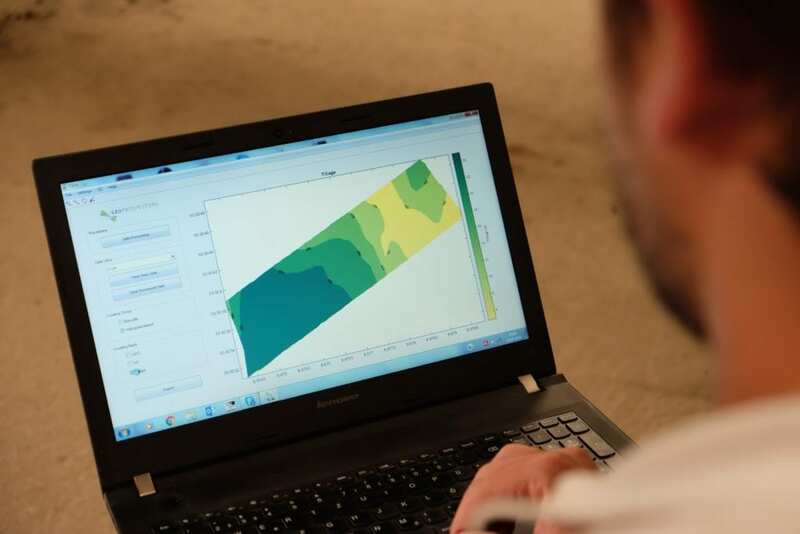 Our innovative concept consists of the sensor component (Topsoil Mapper), the terminal software for data collection, analysis and control (Topsoil Visualizer) and desktop software for data analysis (Topsoil Data Analyzer). For real-time control of a hydraulic cultivator, we also provide the retrofitting-KIT Automatic Tillage Control. The system is designed to require a minimum of interaction between user and terminal. The system needs to configured once, when operated for the first time. With each subsequent use, the stored set of parameters is recalled. The initial configuration is carried out by one of our technician on site, at our factory or it can also be carried out by a tech-savvy layman using the provided instruction manuals. The collected data is used to map the soil parameters. 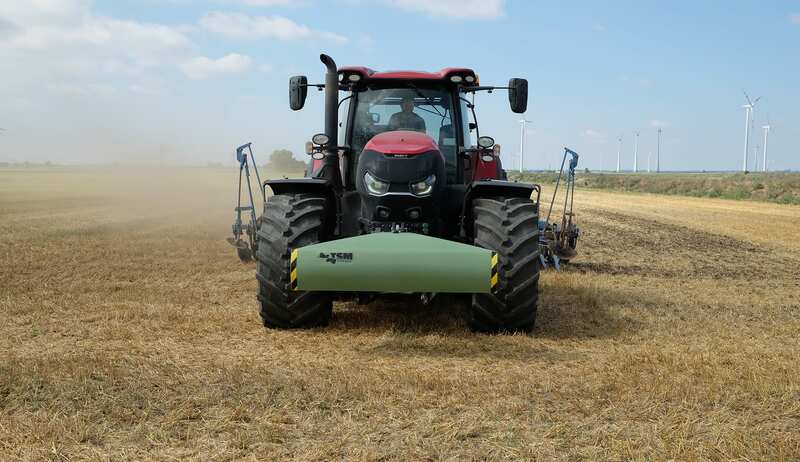 By connecttin the sensors and the implement directly via ISOBUS, the soil can be processed immediately in an individual or site-specific manner. The Topsoil Mapper can be mounted on any towing vehicle. Conductivity measurements are taken automatically at each passage of the field. The measured data is collected in the form of soil parameters, that provide information about compaction, soil type and water saturation. The result is an easy-to-read soil map with relevant soil parameters. As an alternative to mapping, soil information can also be used in real time for variable and direct machine control (tilling, sowing). Two processes (application and mapping) are thus combined in one step. Your advantage is more knowledge about the soil and its characteristics! Early identification of soil compaction brings significant benefits. 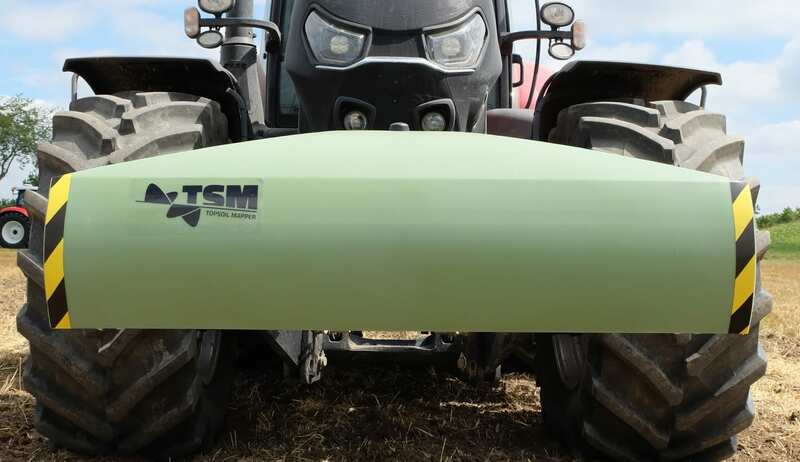 The TSM measurements help to define and record soil parameters (compaction, water saturation and soil type) and the TSM software combines them in meaningful soil maps. Communication with the tractor and implement via ISOBUS is also possible to process site-specific or variable tillage in real time. With the help of a GPS sensor, all information on soil and soil treatments can be geo-referenced and used in digital farm management solutions. With its unique contact-free sensor technology, the Topsoil Mapper can be mounted in the front hydraulics of any tractor and combined with a wide range of work equipment. The system is also independent of weather and plant coverage. The easy connection to the existing ISOBUS system with the TSM ISOconnect functionality ensures quick and easy setup and application. What are the advantages of the Topsoil Mapper for you in your everyday work? The main advantages are the optimization of the use of equipment, a higher working speed in soil processing, reduced fuel consumption and reduced machine wear. With this technilogy, you realize an increase in work rate of up to 25%! And you protect the sensitive soil structure through approporate tilling.